IOT/Hardware refers to embedded systems, microcontrollers, home automation systems, etc. NOT Vive, Oculus, etc. This includes computer vision, deep learning, machine learning, artificial intelligence, etc. Make your project make us laugh! Have an idea you know no one would buy but still wanna do it? Do it. Wow us with it's completely not ever useful abilities! Ex: Rube Goldberg machines, pet rock, handerpants, etc. *To be eligible, you must have at least 2 freshman or sophomore students on your team. sunhacks strives to build a community around technology and contribute to the explosively growing community that consists of hackers from all around the world. We especially focus on allowing students unfamiliar with the community to have a chance to experience hacker culture but also be guided into hackathons with the intent to spark their curiosity and fuel their wildest project ideas. We welcome all students (or students that have graduated within the calendar year) that will be 18+ by November 8th! In order to be eligible for prizes, you must submit a project here on DevPost, and also demo on Sunday at 9AM. Fill out the required spaces in the devpost project, don't forget to add your teammembers (you all need devpost accounts), and SUBMIT BY 8 AM. If you have problems submitting please see an organizer (found by green shirts). 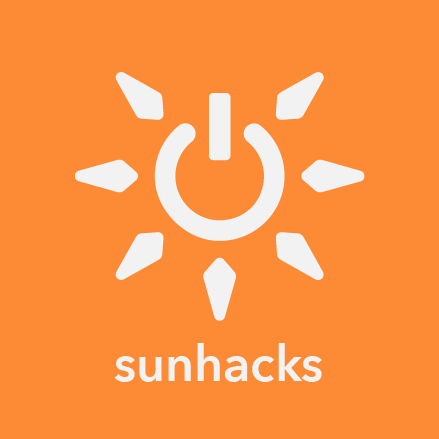 Sign up as a hacker, mentor, and/or volunteer at sunhacks.io!